The new EXPLORER 540, Cobham SATCOM's latest addition to its established EXPLORER range of satellite terminals, has today been introduced as the world's first Machine-to-Machine (M2M) communication terminal to operate on both Inmarsat BGAN (Broadband Global Area Network) and 2G/3G/GPRS networks. As the only M2M terminal to offer dual-mode operation, EXPLORER 540 provides unique installation flexibility and M2M data communication cost-control, as it ensures the most cost-effective communication service can be chosen depending on location of the installation and service quality/availability. Securing continuity of M2M IP data transfer, which often originates in hard to reach, remote locations, dual-mode operation also delivers significant failover capabilities with automatic switching to the secondary service should EXPLORER 540 detect that its primary communication service is unavailable. For organisations transferring business or safety critical real-time data within their M2M networks, EXPLORER 540's dual mode can provide unmatched service availability. 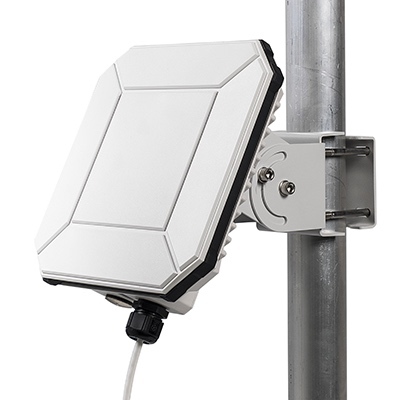 Designed to deliver real-time M2M communication for diverse applications including IP SCADA for data backhaul, asset tracking, real-time surveillance and remote telemetry, EXPLORER 540 brings with it the same operational reliability that has helped to establish EXPLORER as a leading name in the land mobile BGAN and VSAT sectors. It is based on the latest generation EXPLORER technology platform, introduced with the EXPLORER 510 BGAN terminal.